I'm joining the forum as I'm very seriously looking at the purchase of a 2010-2012 KK CRD Cherokee (Liberty) Limited. 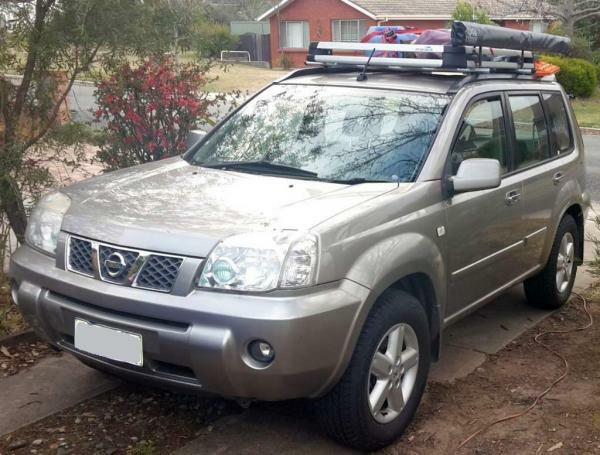 Currently I have a Jap domestic import Nissan JRR50 Terrano II (Pathfinder here in Oz) with a poorly running QD32ETi factory turbo diesel that's been fairly well 'pimped' with a lift kit, Patrol LSD, 16in rims with KM2 muddies, MCC Bar and winch, steel roof rack, awning, diff breathers, on-board air compressor, etc. However I'm finding that my main use of the 4wd is volunteer work I do in National Parks and some Government managed State Forests, which involves @1000 miles of back highways and then maybe just 50kms of muddy tracks in/out of the parks. Accomodation is generally also provided, so I don't have to take cooking and camping gear with me anymore like I used to when just going bush for myself. Hence a smaller, more road oriented economical vehicle would be better for me. So the short list was a T31 X-Trail diesel, Forester, or Kia Sportage, anything with traction control (2008-on for any of these cars) to help on wet clay mud tracks after 30mm of rain overnight cancels the Nat Parks operation. So I bought myself a cheap petrol T30 X-Trail to see what they were like, but it didnt take long to realise I need low range.which none of the above '4wd' have. By luck I found the KK which is actually 11cm shorter than the X-Trail and has similar fuel economy, or close enough, and proper 4wd with low range! The number of forums where ppl told me there was no such car available, just get a Prado or a Pajero swb....even the motoring magazines I contacted. No one suggested a KK. My last job in the Industry was a workshop controller/supervisor for a Subaru dealership, and I'm also a Bridgestone and Yokohama qualified tyre technician with a number of years working for tyre, suspension and brake shops, 20 years ago. In between I moved to fixing computer systems, then robots for defence and police (along with some other cool toys and some that made 'big bang'!) After that I was a Federal Government inspector for a joint industry and government consumer program, so I had a lot to do with Consumer law and the enforcement/court process in Australia. So over the next few weeks or months I hope to learn from others and contribute to helping others with their projects or some advice.